nutraquin+ for horses is a joint supplement that naturally helps rebuild joint cartilage and restore joint health. 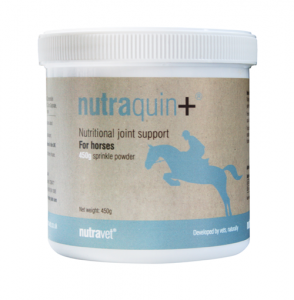 nutraquin+ for horses is sold exclusively through approved veterinary practices. It’s not available on internet pharmacies or websites – beware of any company claiming to sell them online.